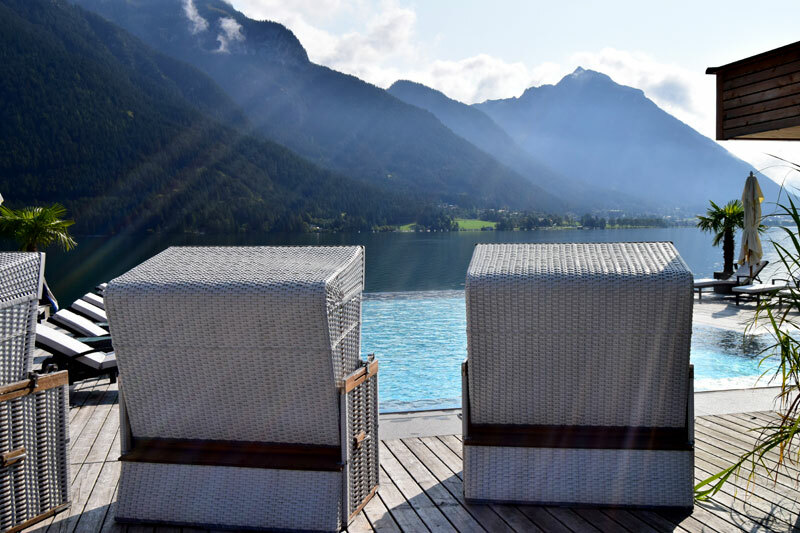 Nostalgic steam train trips, cruising the lake or hiking in alpine nature – Achensee (Lake Achen) in Tyrol is much more than a picture perfect alpine paradise. 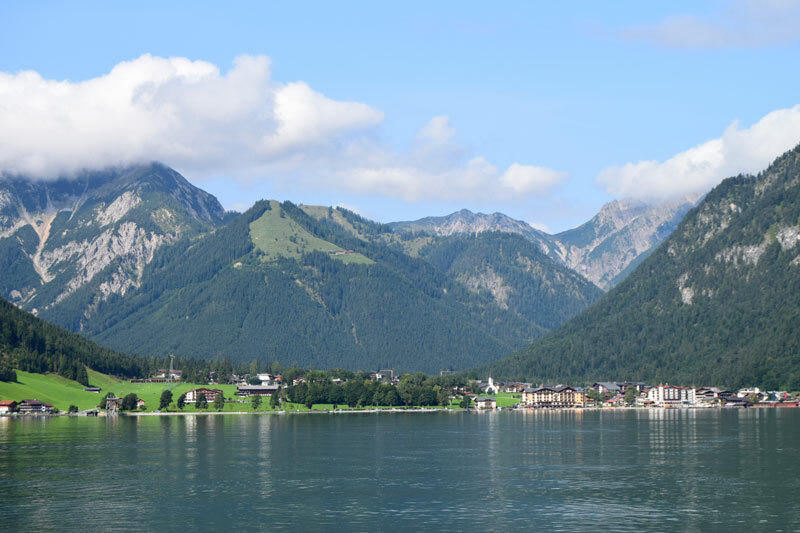 Tirol’s largest lake has been a popular tourist destination since the late 1800’s. 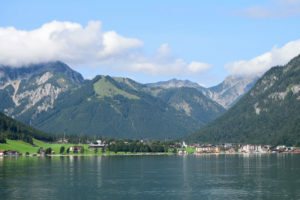 With the arrival of a main train line in Inntal, and a cogwheel train up to the lake corresponding with a steamboat, tourism has flourished ever since. Moreover, surrounded by two mountain chains, Rofan to the east and Karwendel to the west, the scenery is nothing less than stunning. Finally, adding to the charm several idyllic lakeside villages. 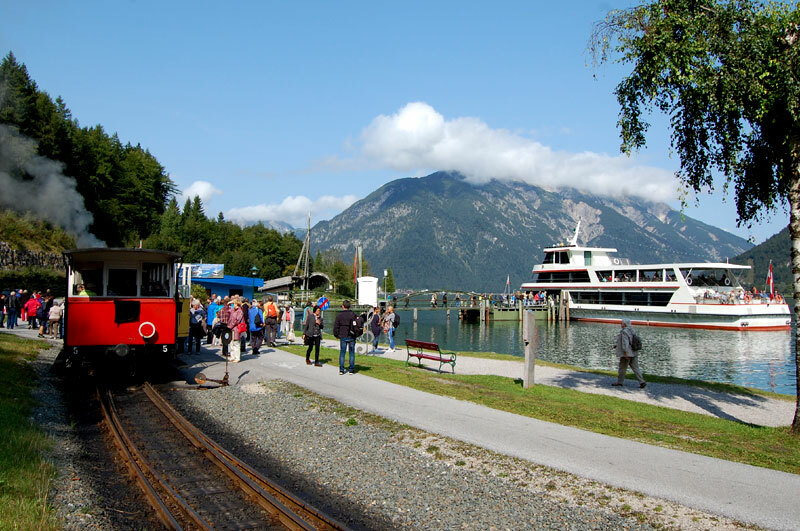 Arriving at the Achensee by steam train is a great start to your journey. 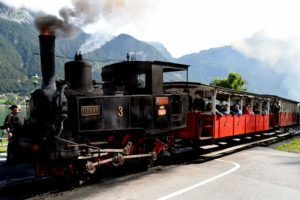 The narrow-gauge steam train takes you from Jenbach in the Inntal up to Achensee at 929 m (3,048 ft). Huffing, puffing and chugging, the small train takes you along a steep winding track, passing through villages, woods and across fields. The seven kilometres take about 45 minutes. Thus, you have ample time to enjoy the landscape and take photos. You don’t have to go all the way, but can jump off at any of the four stations along the way. The last station at Seespitz, is also where you can transfer to the boats, that correspond with the train. From Seespitz you pick up one of the boats the take you around the lake. 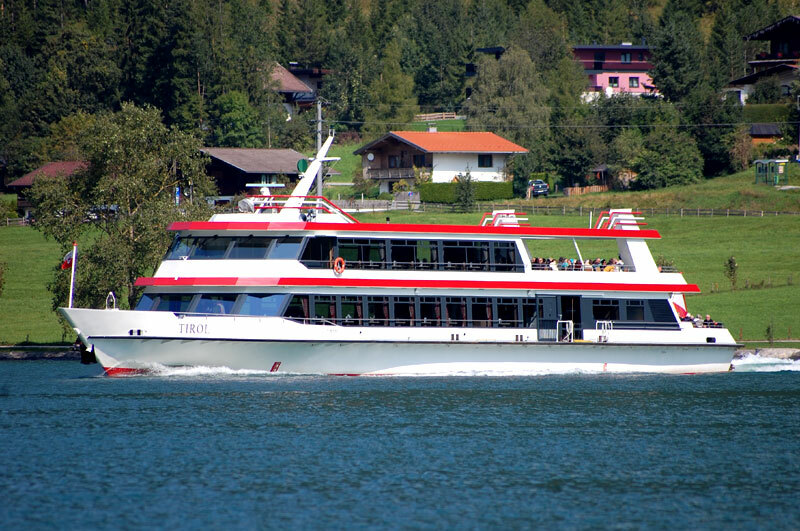 The ferries call at six different landings on the lake and are useful to get around to different places. Or for simply making a cruise around the entire lake. 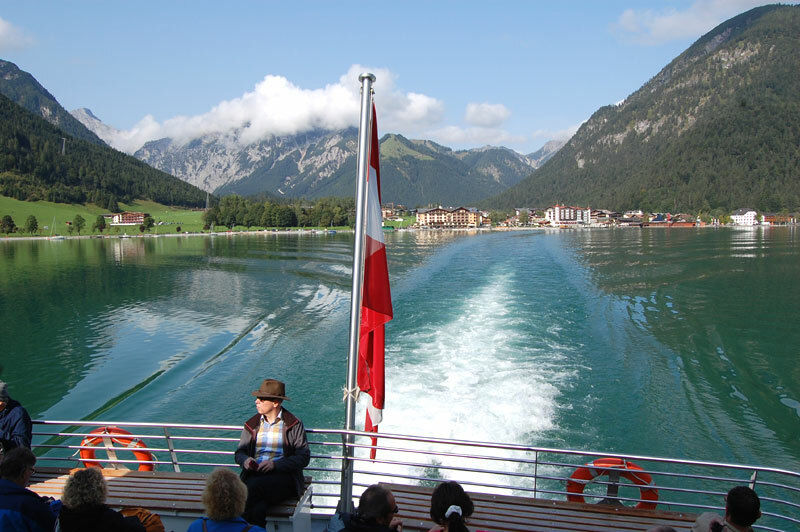 The roundtrip is a brilliant way to enjoy the fantastic scenery surrounding Achensee. You can choose to relax in the sun outside on the deck, or shelter inside the salon’s if the weather is not cooperating. 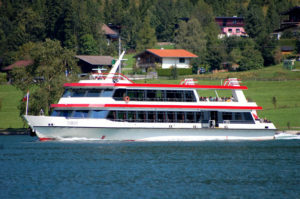 The boats have full service restaurants and during the high season (July – September), you can join a Friday evening cruise with dinner and live music. 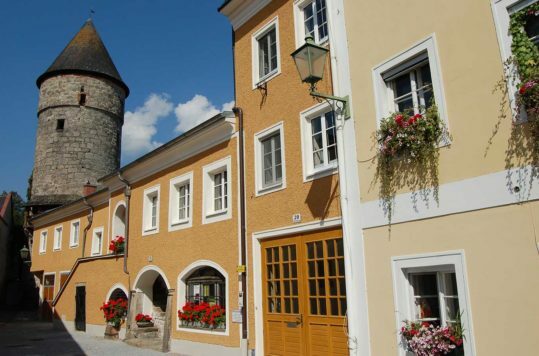 The wandering, hiking and biking possibilities are, as always in the Austrian Alps, plenty and varied. You can make easy hikes in the valley’s or more challenging hikes to a range of different mountain peaks. Nevertheless, staying lakeside, you should definitely use opportunity to hike around the lake. 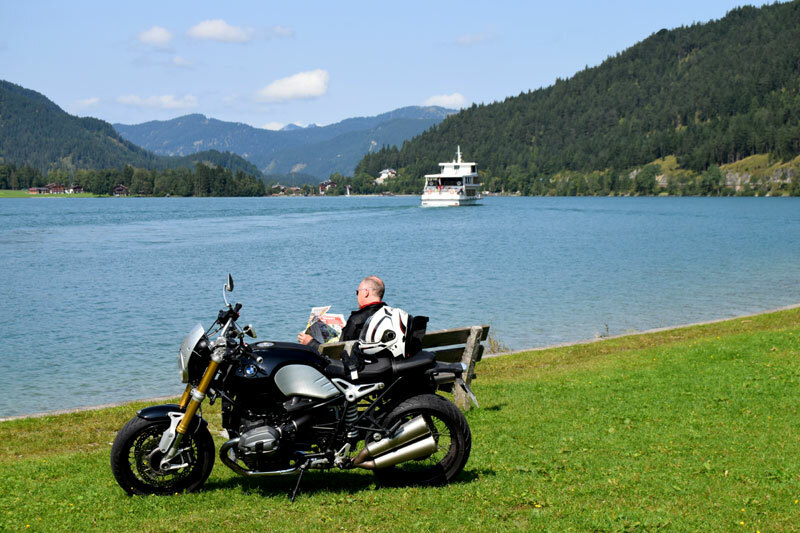 There are trails around the entire lake, but especially on the west side where there aren’t any roads, you can enjoy nature in a bit more tranquillity. The trail between Pertisau and Achenkirch sometimes passes the water’s edge, and other times takes you through the forests or on cliffs high above the lake. About half way you reach Gaisalm, where you can get some food or drink at the restaurant, or just hang out in the park by the lake. The boats also call at Gaisalm, both on the north and south bound runs. Even if you’re only spending one day at Achensee, you can easily combine train, cruise and hiking. Nonetheless, we recommend you spend at least 2-3 days to enjoy the different activities in a more leisurely manner. 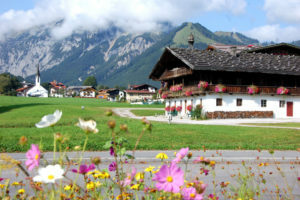 In Pertisau, Achenkirch and Maurach there are cable cars for trips to the mountains, where there are numerous hiking routes, short, medium or long. 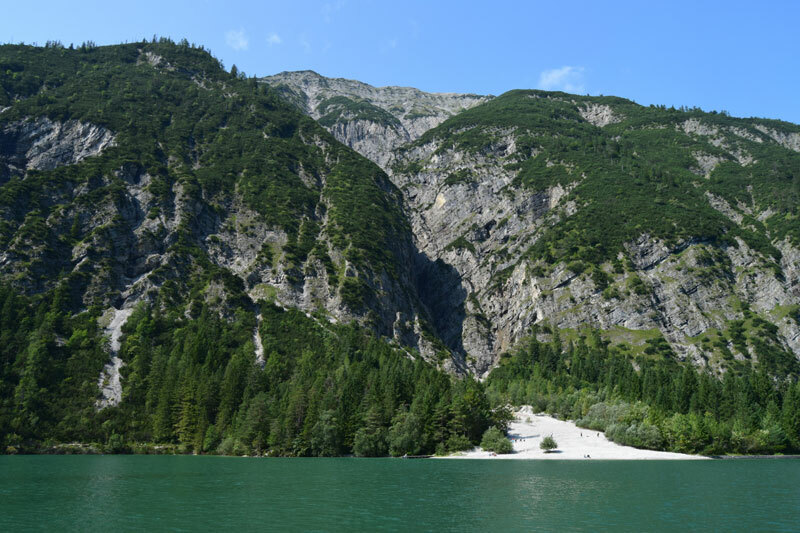 For water sports enthusiasts Achensee offers excellent sailing, windsurfing and kiting. For those who prefer to enjoy a day on the water in a slower pace, you can rent sail- or electric boats. Stand up paddle boards are also available if you want to get around by your own force. If you prefer to see the lake by air, there are possibilities for paragliding as well.